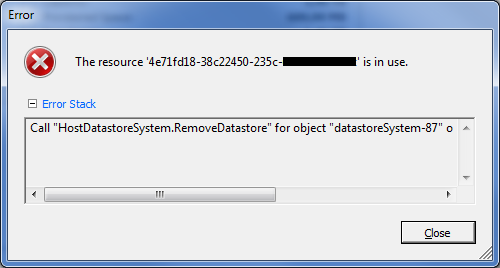 I disabled HA on all my clusters to delete the datastore. It was locked because of HA datastore heartbeat. what command will work in ESXi 5.5? the above command does not work in ESXi 5.5. I got the same error, powered off, deleted and removed the vms resided on DS from inventory and DS disappeared.